Una Vida Para Cristo: Live from Santa Cruz: Vehicle Search! Live from Santa Cruz: Vehicle Search! I flew down early this morning and was greeted by a heavily pounding rain, punctuated by lightning and thunder. Not exactly the type of day you want for a vehicle search. So I spent the morning sitting in my cozy room in the guesthouse, listening to the rain fall and staring at my computer. The rain let up around noon, so I went across the plaza to the grocery store and bought some lunch, then headed out at 2:00. There are two places in this town where cars are sold everyday. They're basically just long sandy strips alongside a road, where all the sellers come with what they've got. 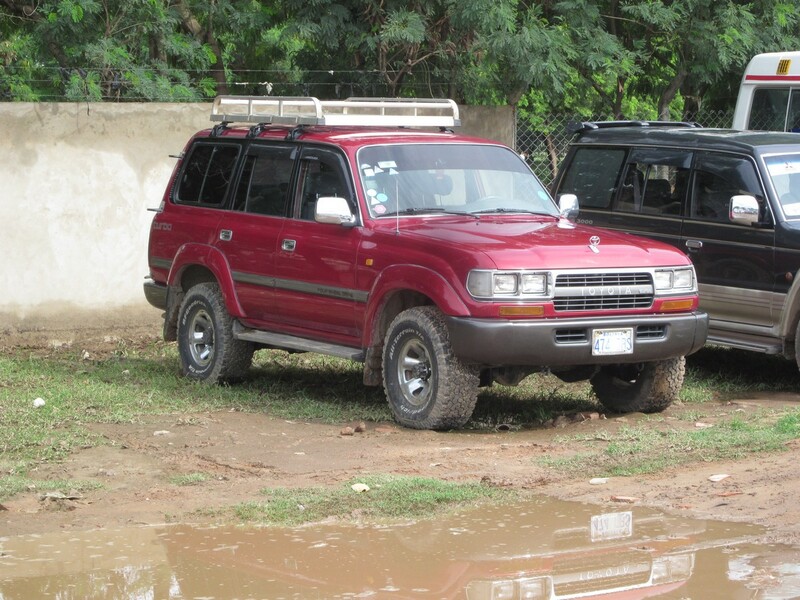 It's a 1992 Toyota HDJ80 Land Cruiser. It has a turbo diesel engine. It has a manual transmission. It's in excellent shape. It's original left-hand drive, not transformed. It even has good tires. -It's nice looking. Kaylee said (and I quote), "I WOULD RIDE IN THAT." Obviously, not a bad thing. -It doesn't have differential locks. A non-essential, honestly, that can be added down the road if desired. -The asking price is $2500 more than what we currently have in our vehicle fund. Yep, that's a problem. I should be able to talk him down. All vehicle sellers tell you a price that is "charlable" or chattable. They expect you to point out all the flaws and kick the tires and lowball them, then come to an agreement somewhere in the middle. The problem is that I don't think I can talk him down that much. So what do I do? Well, I'm going to pray. I know that God has a vehicle for us here. I just have to wait for Him to show it to me, while doing everything I can to find it. Is this it? I don't know, but it's by far the closest thing I've found to this point. Our First Year in Bolivia!